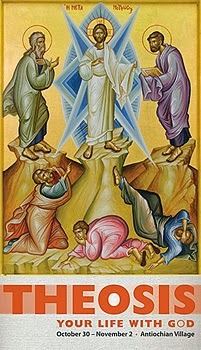 Byzantine, Texas: Orthodox Institute 2014: "Theosis: Your Life with God"
Orthodox Institute 2014: "Theosis: Your Life with God"
(antiochian.org) - Our baptism brought us into the Body of Christ, and placed our feet on the path of salvation, which is the Church. But it is up to us to walk the path. We cannot be the Body of Christ together unless each of us is continually seeking the kingdom and an ever-increasing union with the Father, Son, and Holy Spirit. 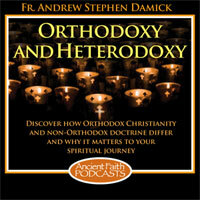 The 2013 Orthodox Institute explored the Kingdom in its corporate dimension, the Church. The 2014 event, entitled "Theosis: Your Life with God" will complement the previous event by exploring the personal dimension. Participants will have the opportunity to learn the history and implications of this particularly life-giving Orthodox theology. More importantly, participants will learn from those who have journeyed before us—the saints, and how we can walk the path today. There will be an in-depth courses on the Jesus Prayer, fasting, and on how to nurture children on their spiritual walk. Our two keynote speakers are Fr. Anthony Coniaris, author, publisher, pastor, and renowned homilist, and Dr. Kyriacos Markides, noted author and sociologist who journeyed the world to find a truly Christian mysticism (see the articles below). We are pleased to announce that among the others slated to present are: Fr. 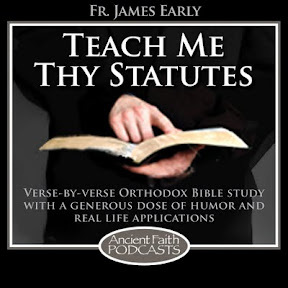 David Hester of St. Tikhon's Seminary, and two Ancient Faith Radio podcasters: Fr. John Oliver of Hearts and Minds, and Martha Condra of Wheat, Wine and Oil. The 2014 Orthodox Institute Opening Address will be by Fr. Anthony Coniaris. In 1966, Fr. Anthony Coniaris wrote Eastern Orthodoxy: A Way of Life, and founded Light and Life Publishers in order to fill the need for educational books for Orthodox faithful. Fr. 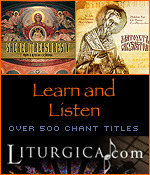 Coniaris has been a prolific writer--his work Introducing the Orthodox Church has been used extensively for catechumen classes, while Making Christ Real in the Orthodox Christian Home is a perennial best seller. Between his own works and the other titles Light and Life offers, he has "made Orthodoxy real" for the faithful and evangelized countless inquirers. A renowned homilist, Fr. Coniaris typically uses stories to illustrate theology, as well as quotes from other writers. He has dealt with practical issues of theology as well as spiritual aspects of our faith. He was one of the early Orthodox writers who brought theosis from the seminary classroom to the faithful, encouraging the Orthodox to have a personal relationship with God. The Light and Life mission statement reflects this: "Our mission at Light and Life is to increase the personal knowledge of Jesus Christ and His Church . . . "
Why do men accept the Scriptures about John's Baptism but reject the Scriptures concerning New Covenant baptism? 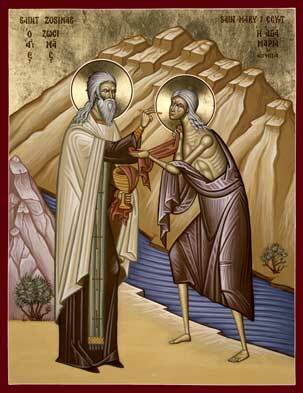 Jesus was required to be baptized in water by John the Baptist in order to fulfill all righteousness. Had Jesus rejected John's baptism He would have been disqualified as a perfect sacrifice for mankind. Jesus was without sin, however, He still had to do all that God required Him to do. You will notice Jesus did not say I was baptized by John as a simple act of obedience, but it really was not essential in order for me to fulfill all righteousness. When men today claim that Christian water baptism is either not essential to salvation or they outright refused to be immersed in water, are they rejecting God's counsel? Are they rejecting God's required for forgiveness of their sins? John the baptist said men have to be baptized to escape the wrath of God. Men today say Christian baptism is simply a way to demonstrate their faith. Why do men believe what God said about the baptism of John and rejected what God said about New Covenant baptism.